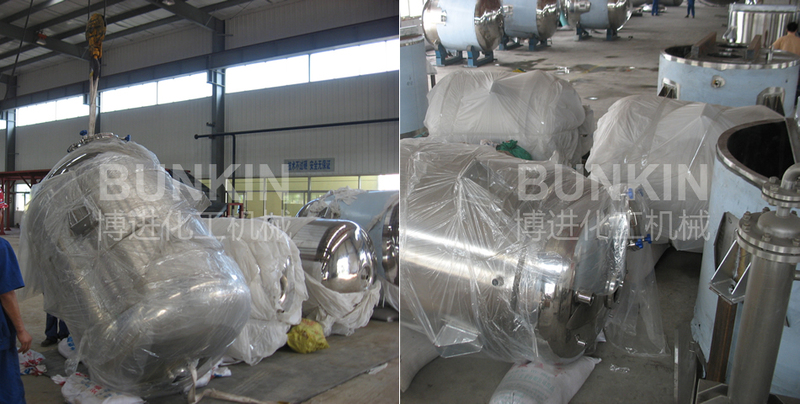 Liquids Storage Tank_Anhui Bunkin Chemical Machinery Co.,LTD. It is a kind of temporary storage container applicable for petroleum, chemical, rubber, pesticide, dyestuff, medicine, food and other industries. 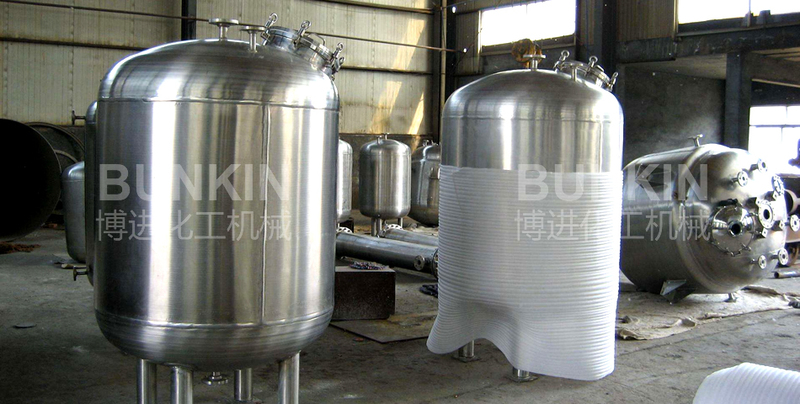 Intermediate tank can be also used for liquid and powder dispatching process, such as layering, solvents and water separation, purification etc. The equipment material usually adopts carbon manganese steel, stainless steel, zirconium, nickel based alloy and other composite materials. We mainly produce the SS304 and SS316 stainless steel model. It used in different industry, customized according to client's requirements, variety of models for option. According to mobility: movable tank with castors, movable tank with forklift slots, movable tank with both castors and forklift slots, usually the forklift slots are designed only for tanks with large volume or needed to be lifted by forklift. 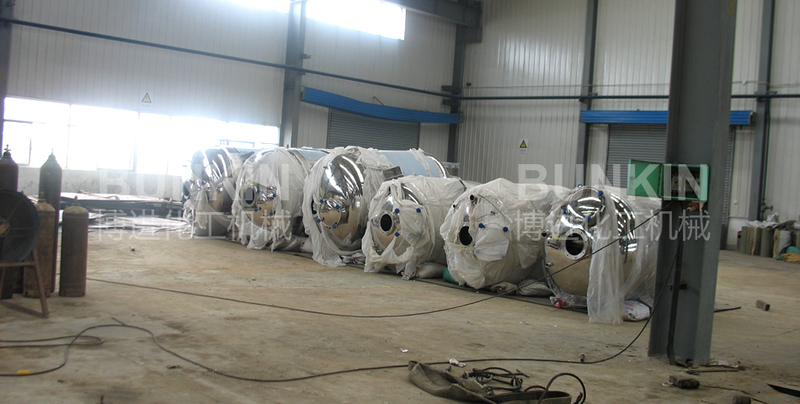 According to closure and pressure condition: atmospheric tank, closed negative pressure tank, closed positive and negative pressure tank. According to layer numbers: Single-layer tank, normal double-layer tank, double-layer tank with electrical heating pins, double-layer tank with thermal insulation layer. According to whether extrude to discharge materials: normal tank, tank with extruder. 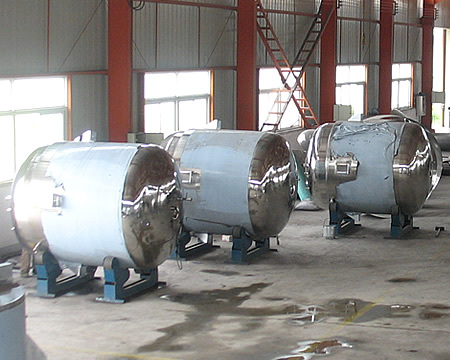 According to tank bottom structure: flat bottom tank with no inclination, flat bottom tank with inclination, dished end bottom tank, conical bottom tank, etc. Capacity: 50L-20,000L based on customers' requirement.